I've done a few reviews in the past for Drink Mamatea but they recently rebranded to Anna Naturals to expand their product line to include not only some new teas (one for energy and one to help with sleep), but also prenatal vitamin drink mixes (no more horse pills! ), and some all natural bar soaps, hand washes and lotions. They'll still have their teas for preconception, pregnancy (including morning sickness), postpartum and nursing. All of Anna Naturals teas are hand-blended and made only from certified organic and all natural herbs. Every "ingredient comes from a source that does not irradiate any products and uses strict testing procedures to ensure that no product is altered in any way." But let me tell you about the Nursing Mamatea. It is the perfect blend of fenugreek seed (a definite milk supply booster! 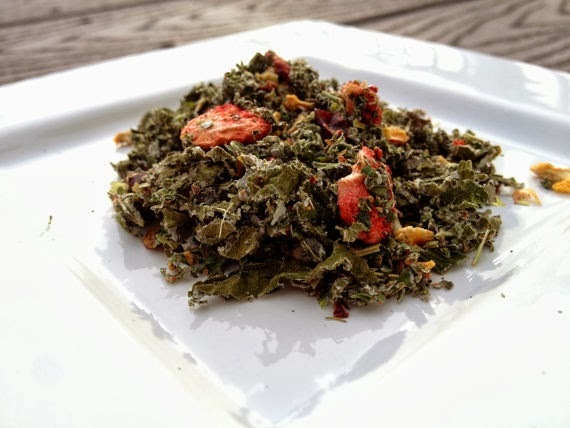 ), rooibos (a caffeine free tea) and fruit to create a fenugreek tea that is not only beneficial for breastfeeding mamas, but also tastes and smells great. "Fenugreek works because it stimulates sweat glands, and the milk ducts actually operate and function the same as sweat glands - thus fenugreek helps increase milk production. Most women will experience results within 24-72 hours of starting to drink New Mama fenugreek tea." And yes, I did! I couldn't believe how fast this tea worked. I have to be careful not to drink too much of it because I have never struggled with insufficient milk supply. I think I like the taste of this one the best though overall! 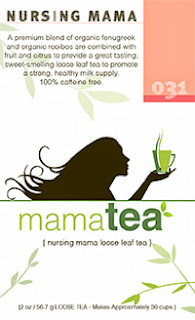 Nursing Mamatea is made in the USA and can be purchased either loose leaf or in a bag. If you purchase the loose leaf tea, you will receive one tin which contains 2 ounces of loose leaf tea and a 2" steeping ball. One tin will make about 30 cups of tea. Purposeful Homemaking readers can use the code 15offpurposeful to receive 15% off their purchase. This coupon code is valid until October 21, 2013.